Photo Credit: Sarah Cody / MuseumLoving TravelingMom. 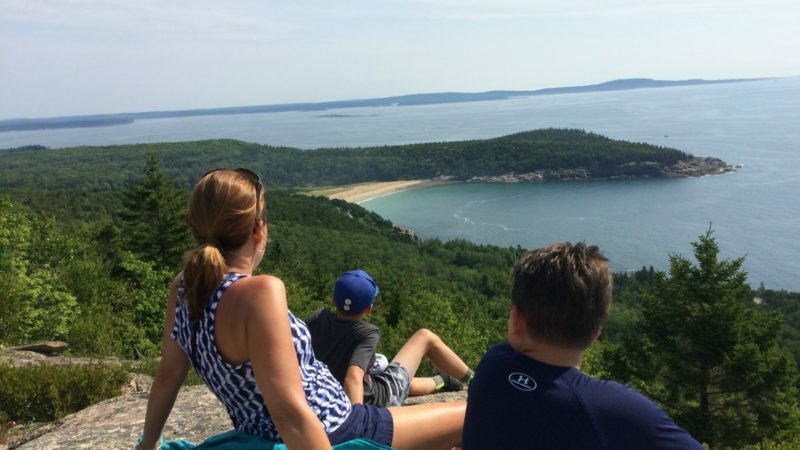 The hike to top to Acadia's Gorham Mountain is not too tough for families to tackle. Maine’s Acadia National Park is a stunning jewel in the Northeast. Located primarily on Mt. Desert Island, near Bar Harbor, the park spans 47-thousand acres along the Atlantic Ocean. The park is consistently filled with revelers who hike, swim, camp and simply take-in the wonders of this natural haven. Visitors occasionally see wildlife like bear or whales, along with glacial rocks and pounding surf. 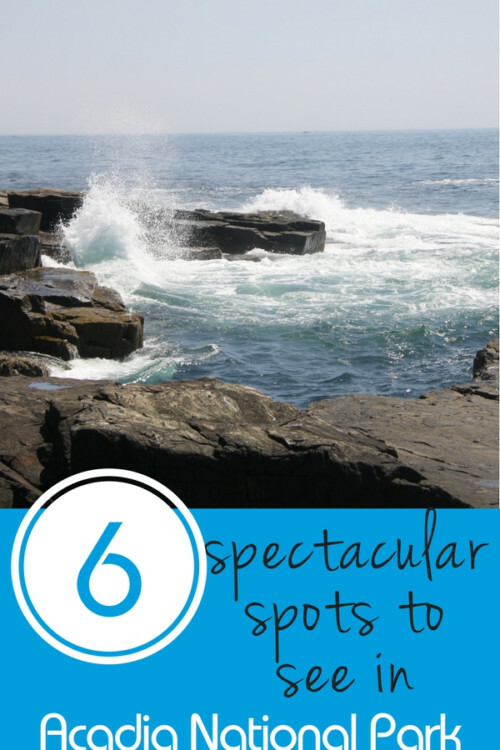 The entire family will be in awe of these 6 spectacular spots at Acadia National Park in Maine. 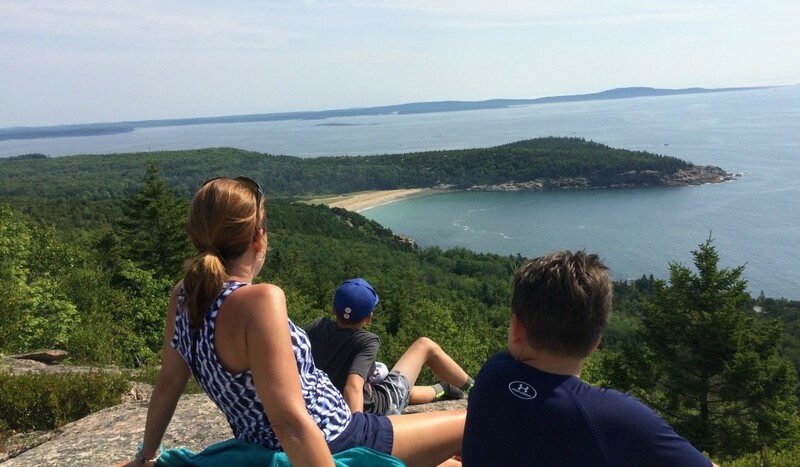 A family hike to the top of Gorham Mountain in Acadia National Park results in awesome views. Photo Credit: Sarah Cody / MuseumLoving TravelingMom. 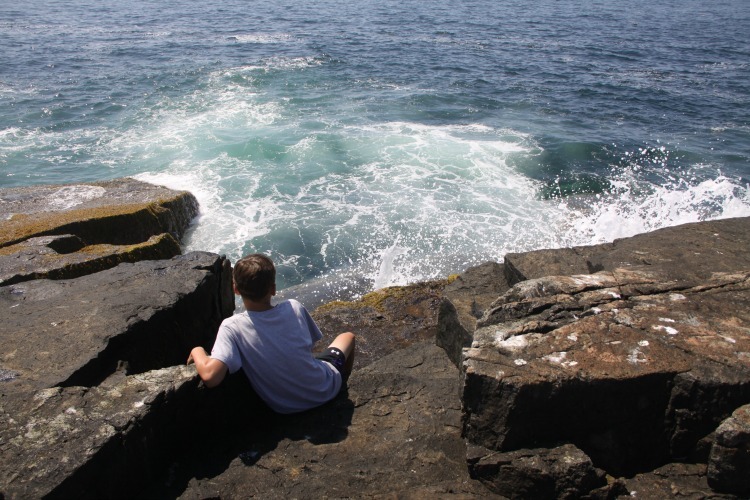 When I think back to trips I took as a child, one stands out in my mind: our journey to Acadia National Park in Maine. I remember feeling like we were in a painting, as our car made twists and turns, on the drive up a mountain to an incredible view. This summer, I wanted to relive that moment with my two sons, ages 11 and 13. So, we took the plunge (a COLD plunge) and booked a week in Maine. After a few days on the southern coast (we needed to swim in waters that weren’t completely FRIGID), we set-off for northern country. We took the scenic route through towns such as Freeport (outlet shopping!) and Belfast. It was a long drive but you know what? It was completely worth it. The scenery is almost unbelievable. Completely breathtaking. 1. Want a great family hike? Try climbing Gorham Mountain! Upon arrival at Acadia, we headed to Park Loop Road, often called Acadia’s premier attraction. The 27-mile road allows visitors to orient themselves to the park, giving them glimpses at meadows, beaver dams and glorious views of the Atlantic Ocean, dotted by with tree-covered islands. It also lead to some of the park’s most popular trails, perfect for a family hike to the top of Gorham Mountain. The boys had no problem tackling this 45-minute hike and we encountered other families with quite small children, easily navigating the mildly challenging terrain. The trek to the 525-foot summit was gorgeous, filled with interesting rock formations and spruce trees. We spent time on the barren top, sitting on rocks and talking while gazing upon picture-perfect scenery. 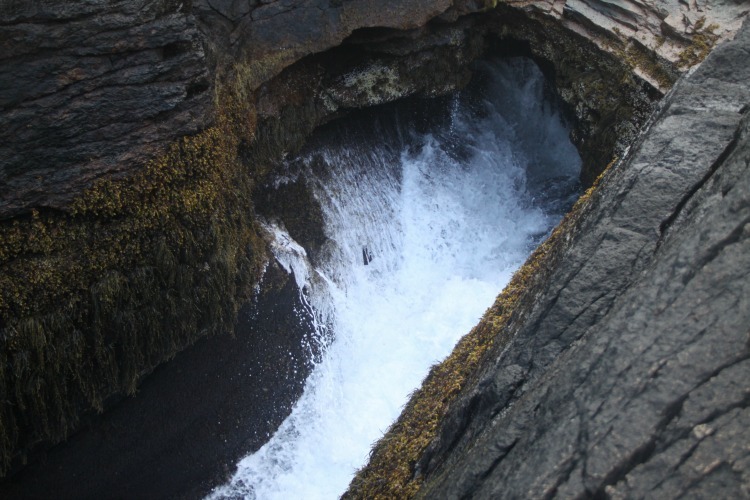 Acadia National Park – near Bar Harbor, Maine – sports a unique Thunder Hole which kids can see on a family hike. Photo Credit: Sarah Cody / MuseumLoving TravelingMom. Another cool destination off Park Loop Road is Acadia’s unique thunder hole. When the surf is high, water rushes into a sea cave, then comes shooting out, spraying water high into the air. Expect the gate-lined stairwell to be fairly crowded. This spot is popular. The thunderous sound mixed with the stunning visual makes for some sincere “oohs” and “aahs,” providing a real look at nature’s power. Cool down after a family hike! 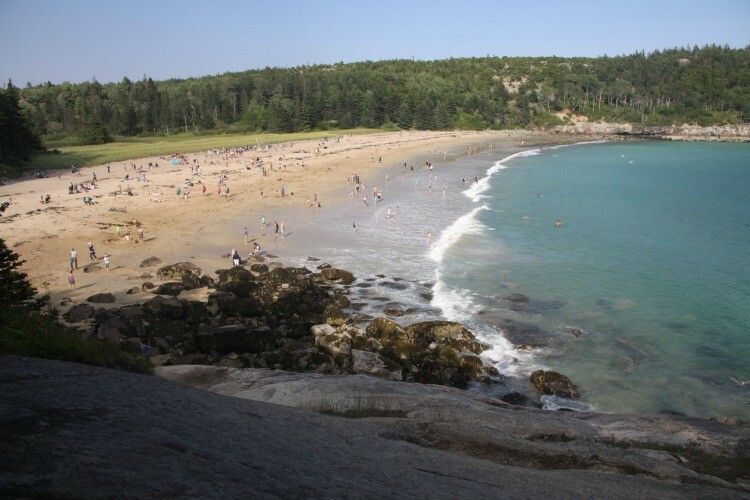 A swim at Sand Beach in Acadia National Park is a chilly treat! Photo Credit: Sarah Cody / MuseumLoving TravelingMom. After a good hike and a look at the thunder hole, take a break at Sand Beach, which does, in fact, sport some beautiful fine, soft sand. The small beach is charming, surrounded by dramatic granite cliffs and trees. The water is gorgeous and clear but COLD! The surf varies. One day, we saw kids tackling some pretty large waves. The next, the water was quite calm. One day, we spotted kids tackling some pretty large waves. The next, the water was quite calm. 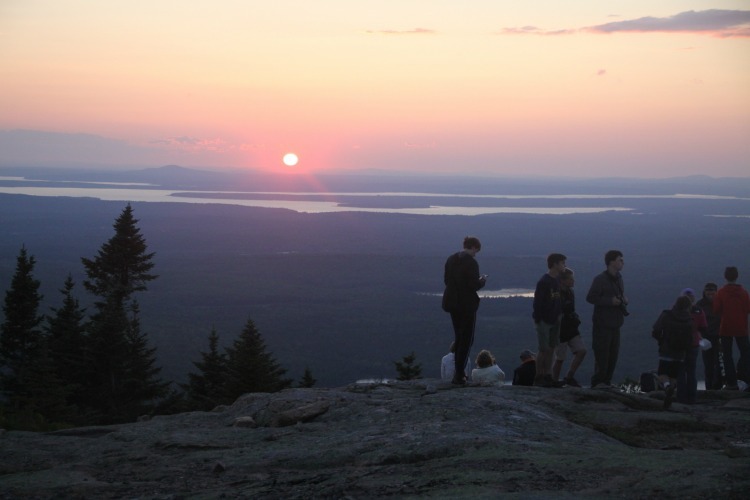 After a family hike, take in the sunsets atop Cadillac Mountain in Acadia National Park. Photo Credit: Sarah Cody / MuseumLoving TravelingMom. Our most memorable outing consisted of watching the sunset from the top of Cadillac Mountain, the highest point in the United States, accessible by car on Park Loop Road. We enjoyed a cooler full of sandwiches, drinks and Maine blueberry pie (seriously yummy), as we sat on rocks watching the glowing orb sink in remarkable fashion. Conditions were cool and windy. The kids were relaxed, chatty and engaged. We weren’t alone. Many other families took-in the delightful, colorful spectacle that ended with claps and cheers. 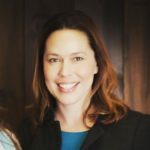 Read this TravelingMom’s advice about dressing for Acadia. Temperatures can change quickly and dramatically! 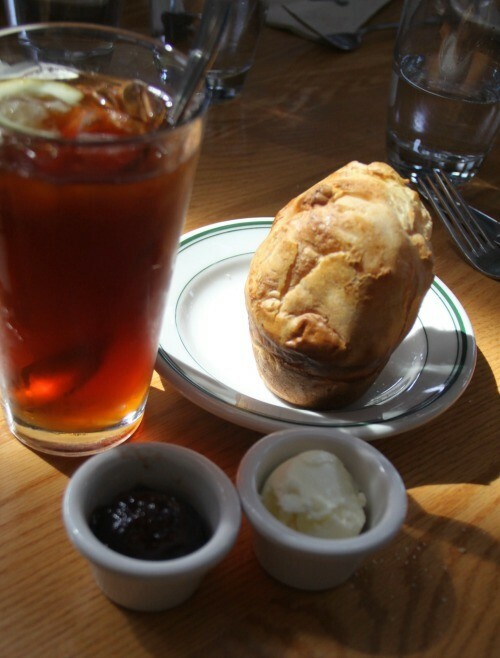 Warm, buttered popovers are a delicacy at the Jordan Pond House in Acadia National Park. Photo Credit: Sarah Cody / MuseumLoving TravelingMom. Find culinary tradition at Jordan Pond House, the park’s only restaurant. As a nod to history, the eatery serves popovers and tea, a popular snack for the area’s wealthy summer residents in the late 1800s. This spot is notoriously crowded. We waited about 45 minutes to be seated inside. Waitstaff advised us that bees were pervasive at outdoor tables. Once we were served, the boys – who had never tasted popovers before – were quite satisfied by the warm creations, smothered in butter and jam. We also ordered lunch – salads and sandwiches. All of the food was delicious. See a quieter side of Acadia National Park on Schoodic Peninsula. Photo Credit: Sarah Cody / MuseumLoving TravelingMom. One day, we took a small ferry to Winter Harbor on Schoodic Peninsula, also part of Acadia National Park. The hour-long ferry ride was incredibly relaxing, filled with views of scenic lighthouses and craggy cliffs. A school of porpoises even made an appearance. Once in the harbor, we rented bikes and explored. Take note: the ride to Schoodic Point is challenging. We were pretty tired by the time we got there. But, we lounged on the rocks, talked and enjoyed the company of a seal, bobbing in the surf, near our perch. 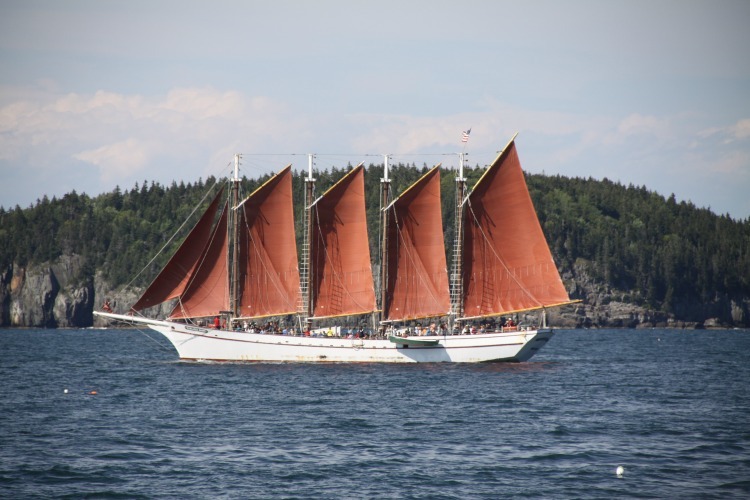 Schooner Margaret Todd is a fixture on the coast of gorgeous Bar Harbor, Maine. Photo Credit: Sarah Cody / MuseumLoving TravelingMom. The Finale? Dinner in gorgeous Bar Harbor. After seeing these 6 spectacular spots at Acadia National Park, head to downtown Bar Harbor which couldn’t be more lovely. We finished our trip with an outdoor dinner at the Bar Harbor Inn, overlooking the most sublime vista. Schooner Margaret Todd is a striking fixture on the water. All in all, our family adventure in Acadia National Park and Bar Harbor was extraordinarily memorable – providing bonding moments and a new perspective on the wonders of nature. Can’t wait to return. Check out this link for more TravelingMom tips about tackling Acadia – including information about park fees.